The UK’s farmland bird indicator based on 19 farmland bird species fell again in 2012 to its lowest-ever value at less than half its 1970 starting value. lapwing, grey partridge, skylark, yellowhammer, tree sparrow, linnet, yellow wagtail, turtle dove and corn bunting; the last two rare in Barnsley. Kestrel and barn owl are amber listed farmland birds of local conservation interest..
We have highlighted priority bird species that breed or over-winter in farmland in Barnsley for which habitats should be maintained and enhanced. However, nationally, birds that forage and nest in farmland are at their lowest levels since records began. The UK Farmland Bird Indicator is made up of 19 species that are dependent on farmland for survival. Since 1970, the abundance of these species has, on average, declined by 48% across farmland habitats. 12 of the 19 species have shown a decrease in numbers. Drainage and loss of marshy areas. Loss of spring sown cereals in a switch to autumn sown crops. Depending on the time that silage and hay is cut, harvesting machinery can destroy the nests and young of birds, such as skylarks. Breeding success is directly related to lack of predation and a ready supply of food supplies whether insects or seeds. Arable and mixed farms can support important populations of seed-eating and insect eating birds. Nectar flower mixtures, cultivated uncropped margins, conservation headlands, beetle banks, ditches and other seed-rich or insect-rich areas can all help breeding birds with food for their young. Having fallow plots for ground-nesting birds, skylark plots within fields, spring crops, buffer strips, and hedgerows helps birds with nesting sites. Some birds would use farm buildings or nest boxes. Wild bird seed mixtures and over-wintered stubbles help birds with winter feeding. Between mid-winter and spring, farmland birds suffer from a lack of available food. Providing supplementary food for bird populations over this period can help tackle this gap and ensure birds are better able to adapt to other changes in their environment. Managing land for nature using subsidies from agri-environment schemes. Birds that are heavily reliant on farmland for food and breeding have declined more severely than those reliant on other habitats. Farmland birds that are able to use a wider range of habitats have fared better and some, such as wood pigeon, have increased in numbers. The declines appear to have been mainly caused by the loss of breeding and year round foraging habitats, meaning that many farmland birds have fewer places to nest, raise fewer young, and are less able to survive the winter. Farmland birds need a safe nesting habitat with ample food for their young. Food supplies are also needed to sustain them over the winter when some species numbers increase. Most species associated with farmland nest in hedgerows, field margins or within the crops or grassland of the farmed area. Many of the small farmland birds feed on seeds throughout the year, but feed their chicks on insects in the spring and summer. Although in common with the rest of the country the numbers of farmland birds in Barnsley have declined significantly in last 50 years, there are breeding populations of lapwing, grey partridge, skylark, tree sparrow, yellow hammer and linnet that it is important to take action to conserve. Very small numbers of the migratory yellow wagtail are known to breed in Barnsley and they now favour arable crops to the east of the area. Turtle doves are rare visitors to Barnsley and corn buntings are only occasionally found. Lapwing have benefited from the RSPB’s work in the Dearne Valley and where farmers have environmental stewardship in place including on the moorland fringe. Tree sparrows can be found in a number of locations and have benefited from the provision of nesting boxes. Grey partridge have also declined and are thinly distributed but can still be seen around former spoil heaps in the east of Barnsley. Raise awareness of issues related to farmland birds. Collect, analyse and map records of populations and assemblages of farmland birds in appropriate sites across Barnsley, including through the Barnsley Bird Study Group’s Breeding Bird Survey. Promote positive conservation management of farmland, reclaimed sites, amenity grassland, hedgerows, nature reserves and other areas to support farmland birds. Encourage unmanaged grassland margins or, in the case of Skylarks, unmanaged areas in the middle of arable fields. Encourage landowners to take up New environmental land management scheme (NELM)Stewardship Schemes that benefit farmland birds. Monitor presence of specific farmland birds in particular sites for example tree sparrow nest boxes. SSSIs & Local Wildlife Sites with appropriate habitat for farmland birds in favourable condition / in positive conservation management. Land management measures for farmland birds undertaken. New Environmental Land Management Scheme taken up. Trend of local improvement in breeding farmland birds: lapwing, grey partridge, skylark, tree sparrow, yellow hammer and linnet [in general and on specific sites to be identified]. The provision of nest boxes for Tree Sparrows and public awareness of Tree Sparrow issues has been increased 2008-2012. For example in Hoylandswaine 18 out of 27 nest boxes were used by Tree Sparrows in 2012. The uptake of Environmental Stewardship schemes has increased the numbers of breeding lapwing. Farmers and landowners, including Barnsley Council, other public bodies, private companies, charitable trusts, and individuals: follow best practice in managing their grasslands, arable fields, hedgerows, etc to support farmland birds. Nature and wildlife conservation bodies: give advice and provide practical support for habitat management for farmland birds. Natural England: gives advice on habitat management for farmland birds and New Environmental Land Management Scheme; takes into consideration records of presence of priority farmland birds in considering change of use applications. 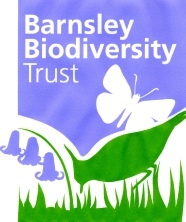 Barnsley Council as planning authority: sets conditions in relevant planning applications to ensure that biodiversity is maintained and enhanced; takes into consideration records of the presence of priority farmland birds. Voluntary groups and volunteers: help with information about the condition of sites that support farmland birds and provide records of the distribution and numbers of farmland birds; help with measures to support farmland birds eg: tree sparrow nesting boxes. If you live in an area close to countryside then tree sparrows may nest in boxes you put up.